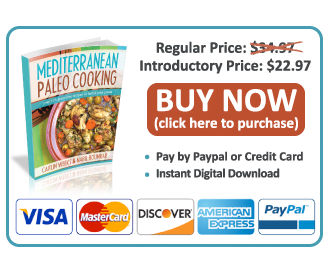 I am very excited to announce that my podcast partner and friend Grass Fed Girl and her chef husband have finally released their e-cookbook, Paleo Mediterranean Cooking. 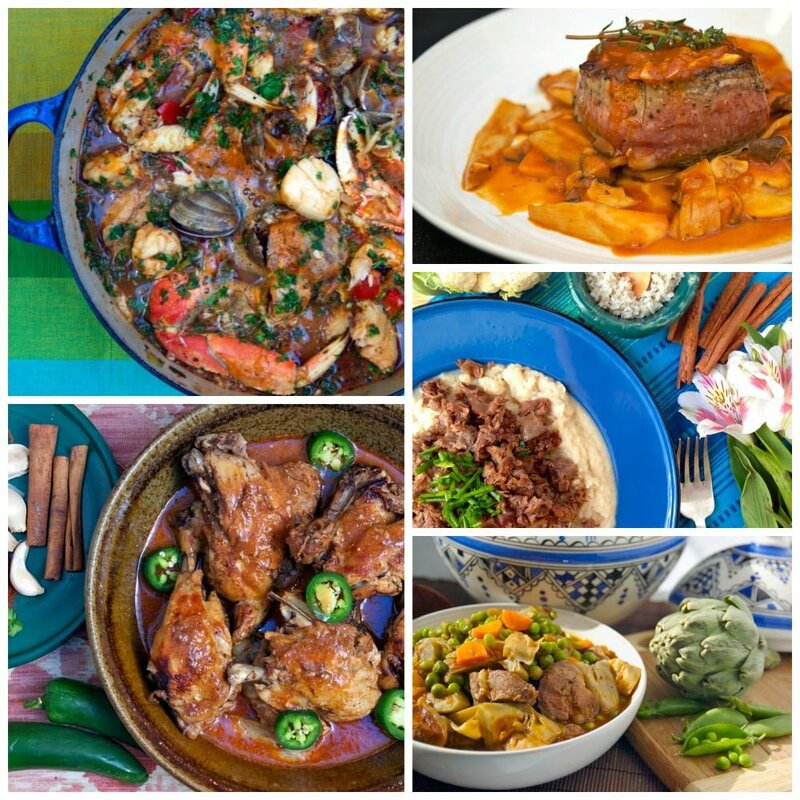 I have been lucky enough to be used as a recipe tester for some of the recipes in the book, and the recipes always turn out fabulous and are easy to make. 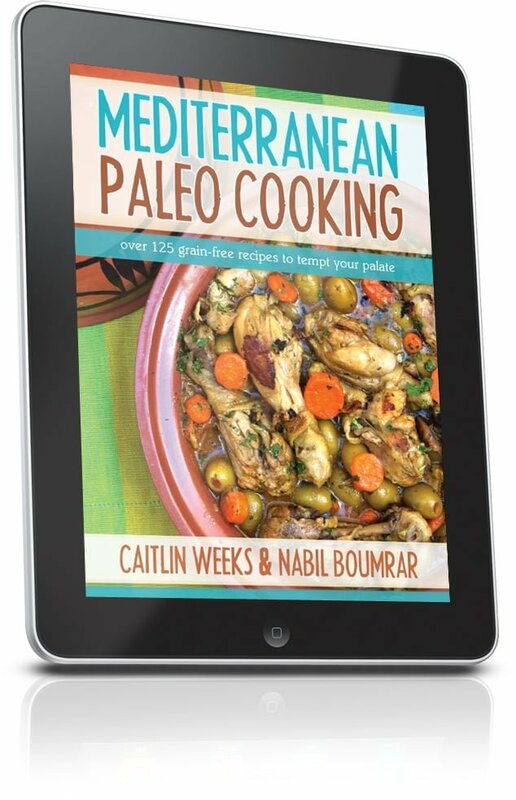 There are 125+ grain, dairy and soy free paleo recipes that incorporate the anti-inflammatory spices and healing diet of the Mediterranean. 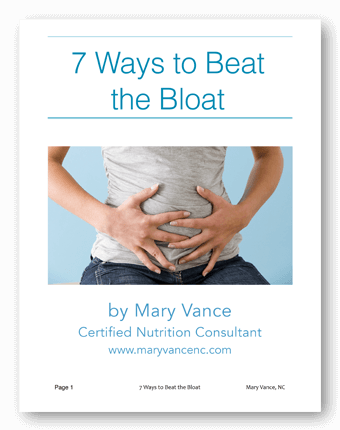 Even better, this is an ebook, so you can download it now and get instant access. 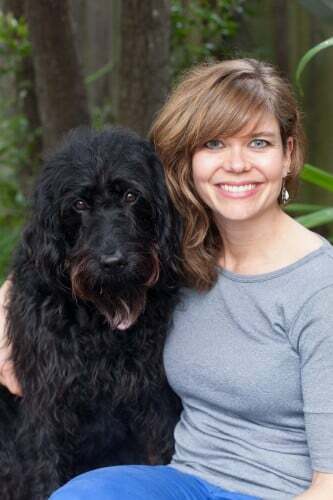 What if you could have a 125+ recipe that is friendly to your food sensitives written by a real chef and holistic nutritionist? What if dinner can feel like a trip to an far away land? 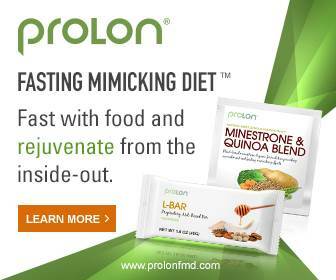 What if you could amaze your family and friends with your new found flavors that they will love? What if your husband/wife/partner mistook you for a chef? What if you could learn how to make tasty replacements for some of your favorite foods such as pasta, pizza and rice? Would 20 new breakfast ideas get your day off to a great start? 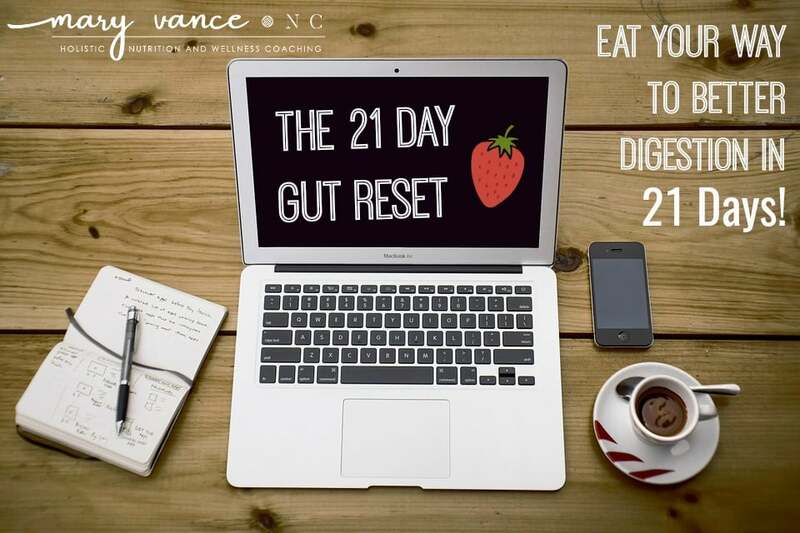 Do you want to get healthy while eating tasty and nourishing food? Pizza and pasta dishes that are grain free!! And over 18 grain free desserts! 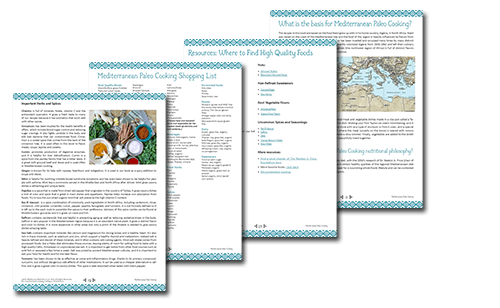 Includes a shopping list, spices guide, healthy fats guide, and food resource guide. The best part is that you can download it instantly to your iPad, Kindle, or tablet. Even better, you can get it now for introductory price of 22.97, which is 35% off the normal price of 34.97! 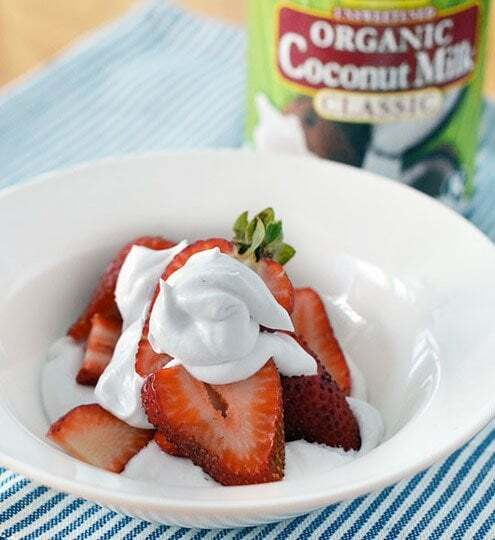 Annnd don’t forget about dairy-free coconut whipped cream to top your delicious deserts. 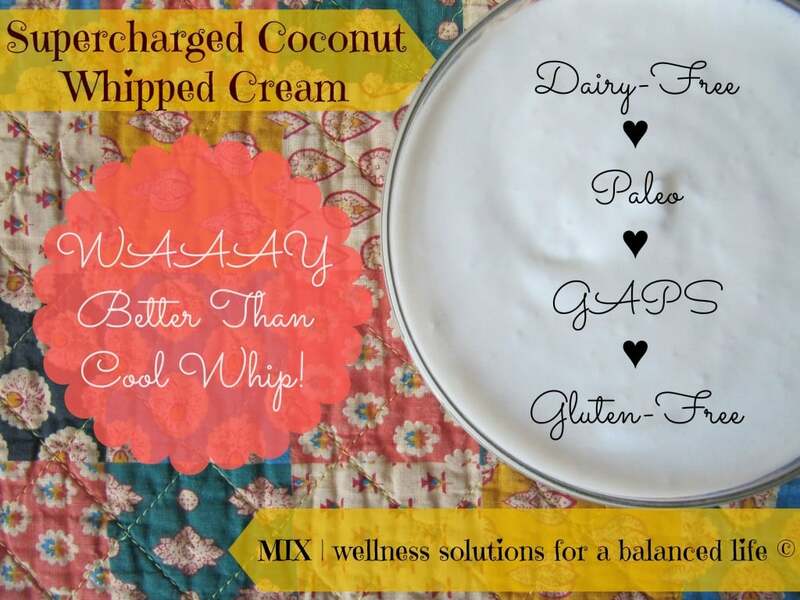 This one from Mix Wellness uses nourishing gelatin. Or you can go simple, like this one from the Kitchn. I typically add honey and vanilla to mine.